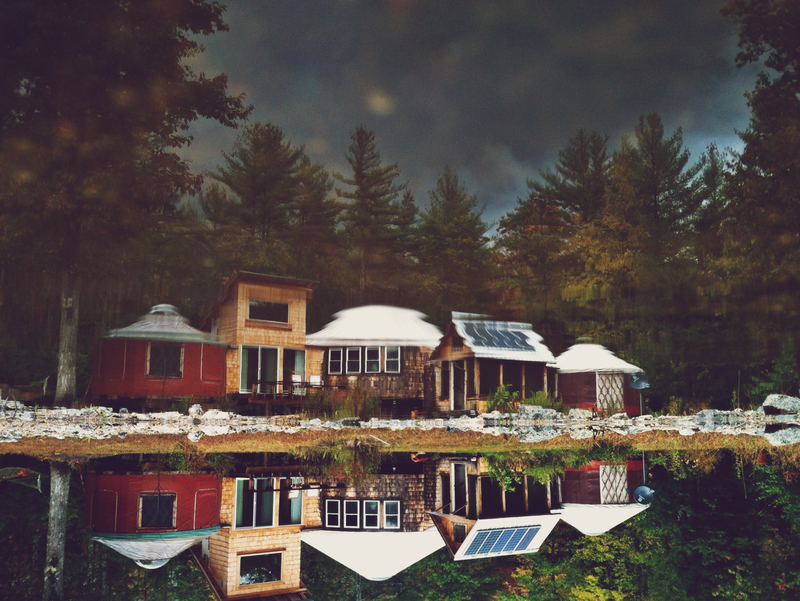 nestled in the thick of woods on 20 acres of solitude, our home is a yurt village. a patchwork of structures and lives, just like our blended family who calls this home. our home has grown and shifted and changed with our growing and changing family. it holds pieces of our individual pasts and parts of our coming together and dreams of our future. it’s a beautiful blend and a constant reminder that home represents many different things to many different people. our children have many homes. some they don’t remember, and some they frequent with each changing week or with changing seasons. they remember homes with different families from past lives, they remember moving and growing and sharing and blending new families. home is a topic that never ceases to fascinate me. i can look back fondly on the lush green treehouse of a southern state or the new arrival here to new england where my scene and perspective changed. one thing i’ve learned is that home is love. home is what you make it. it’s how you view the world. it’s your nest from where your children take flight. home is carried within you. whether you live off grid in a yurt or live in a two hundred year old farmhouse or an adobe house on the high desert mesa… these pieces of home form and shape our children, by solidifying their experience of love and security and roots. just like families, they come in all shapes and sizes. having had so many homes in my own childhood, having moved to so many different places, i found myself always seeking roots yet needing space for my gypsy like tendencies. i’m blessed to live here. to grow these roots along with the reminder that where there is love there is home. Wow Meredith, what a beautiful & unique home you have! I could look at that picture all day! And treat others the way they, themselves want to be treated, they prepare to launch out and repeat the same love and safety and stimulation they were raised in. A win-win for all of society.